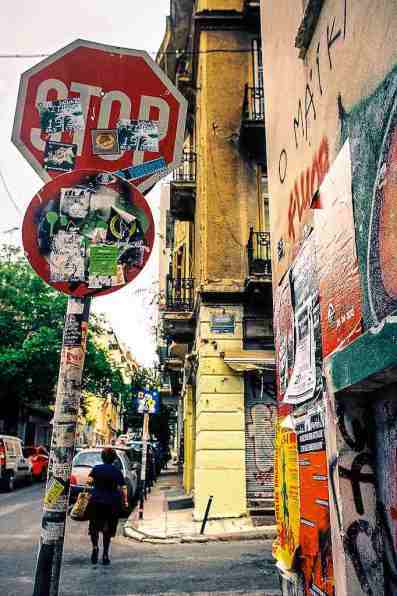 With a population of over 3 million people, Athens is Greece’s biggest city, as well as a center for politics and tourism. 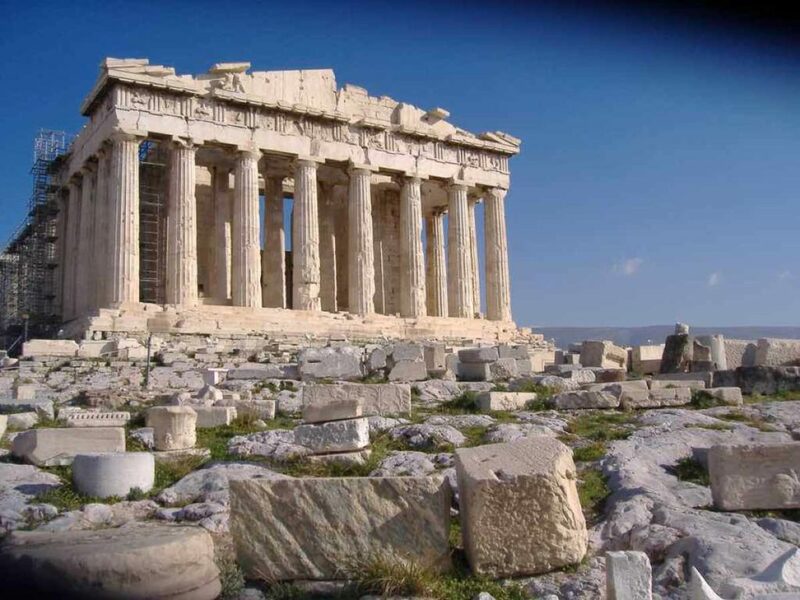 Well known as the Cradle of Civilization, Athens prides itself for being the origin of democracy, Western philosophy, Olympic Games, political science, Western literature, major mathematical principles, and theatre. 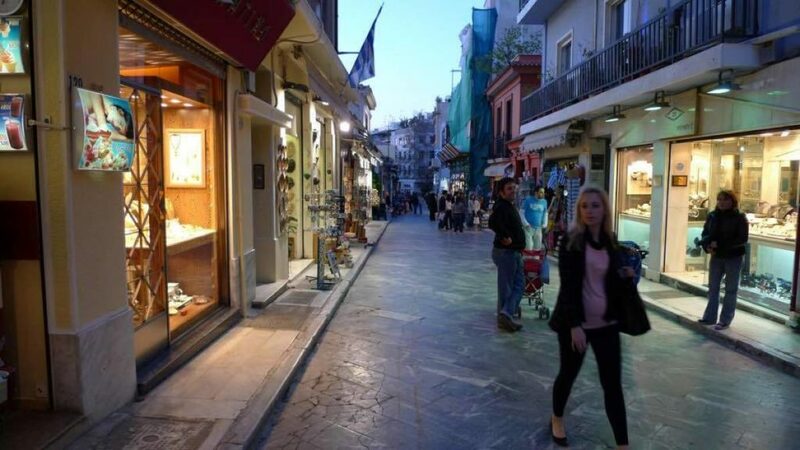 The history of Athens spans around 3,400 years, making it one of the oldest cities in the world and many prominent rulers, writers, philosophers, scientists and politicians, including Alexander the Great, Socrates, Aristotle and Plato belonged to this amazing city of Greece. neoclassical houses and mainly pedestrian streets. Temple of Olympian Zeus – The Temple of Olympian Zeus, also known as the Olympieion, is an Greco-Roman temple in the center of Athens. 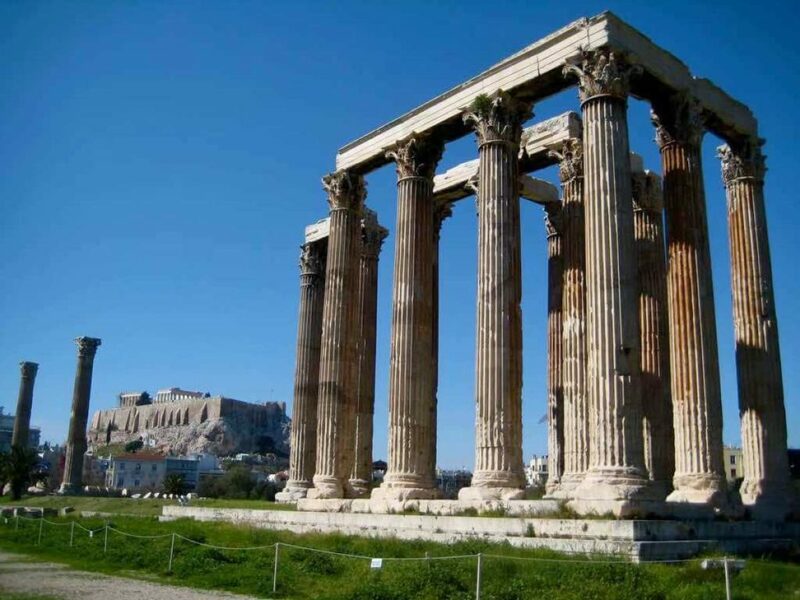 The Temple of Olympian Zeus was an enormous structure, its unusually tall columns and ambitious layout made the temple one of the largest ever built in the ancient world and the largest temple in Greece, exceeding even the Parthenon in size. The 104 columns, each 17 meters (56 feet) high, of the temple were made of Pentelic marble. Only 15 of the Corinthian columns remain standing to give a sense of the enormous size of the temple. This temple is very close to other monuments of Athens, such as Kallimarmaro Stadium, the Hadrian’s Arch and Zappeion Megaron. Mount Lycabettus – Rising 277 meters (908 ft) above sea level. 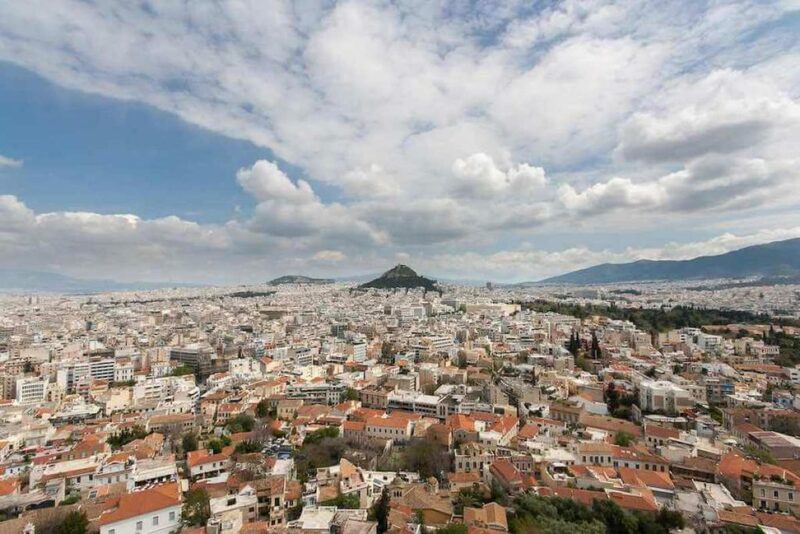 Getting yourself up to the top gives youa full 360 panorama of the ancient city of Athens, Aegean sea and the ships in Piraeus. Apart from the view, there is also a restaurant, a 19th century Chapel and an amphi theatre up there. 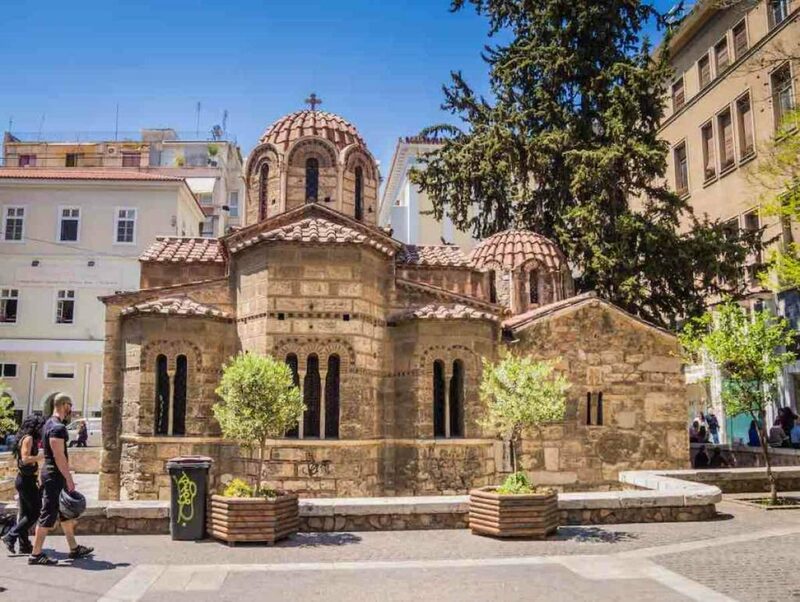 Panaghia Kapnikaréa Church – The Church of Panaghia Kapnikarea is the oldest church in Athens, it was built during the middle of the 11th century. The church is dedicated to Saint Mary but it is better known as Kapnikarea. 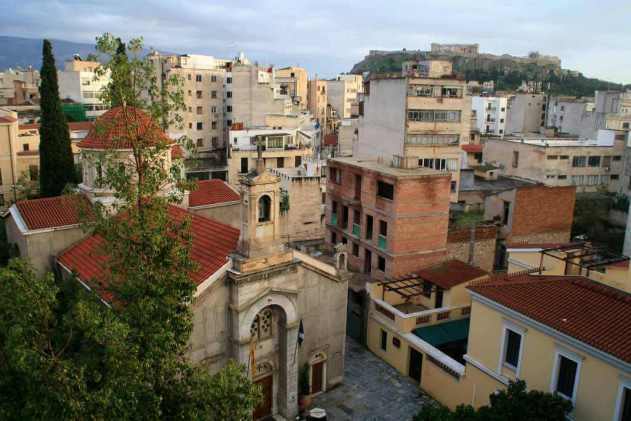 As with other Early Christian churches, it was built over an ancient Greek pagan temple which was once possibly dedicated to Athena or Demeter. Exarcheia – Exarcheia is a neighborhood situated between the University of Athens and the Politechnion, offers a glimpse into the country’s recent political turmoil as well as the intellectual and counter-culture side of the city. 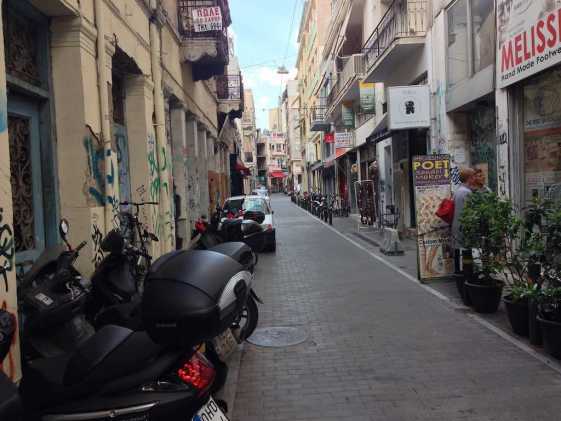 There are few places in Europe where you can find riot police squads in full gear, permanently stationed around buzzing cafes and restaurants. 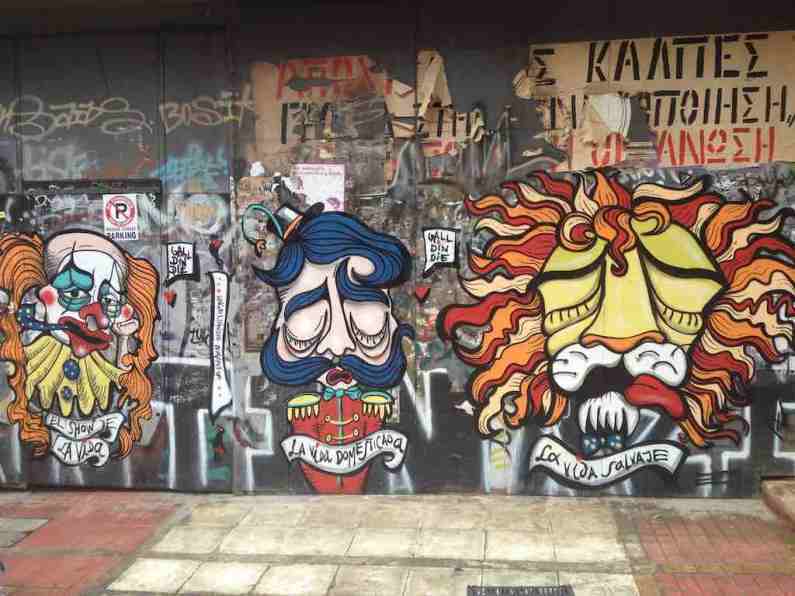 Some people call it ‘a punk Disneyland’, a neighborhood of Athens that few tourists dare venture into. Theatre of Herodes Atticus – The Theatre of Herodes Atticus, also known as the Odeon, is a Greco-Roman theatre built in 161 AD. It is named after an affluent Greek-born Roman senator, Herodes Atticus, who constructed it in commemoration of his wife, Regilia. 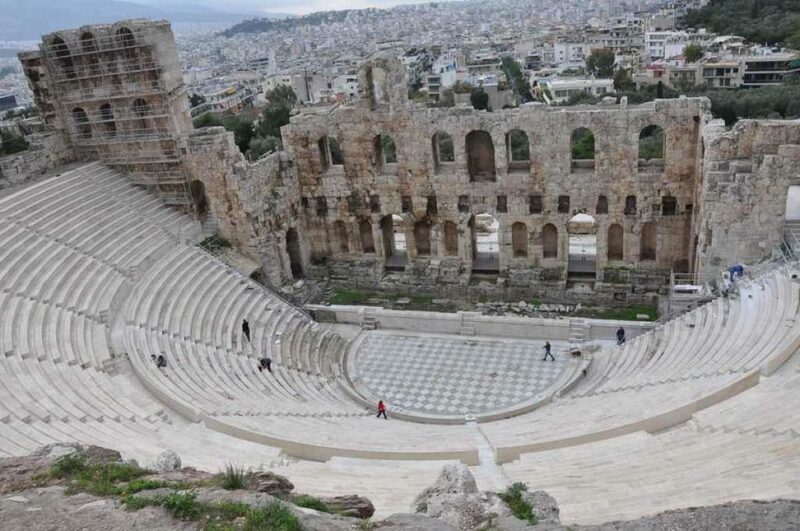 Able to seat up to 5,000 people, the Theatre of Herodes Atticus was mostly used for music shows and festivals, a function which the now restored structure still performs today. 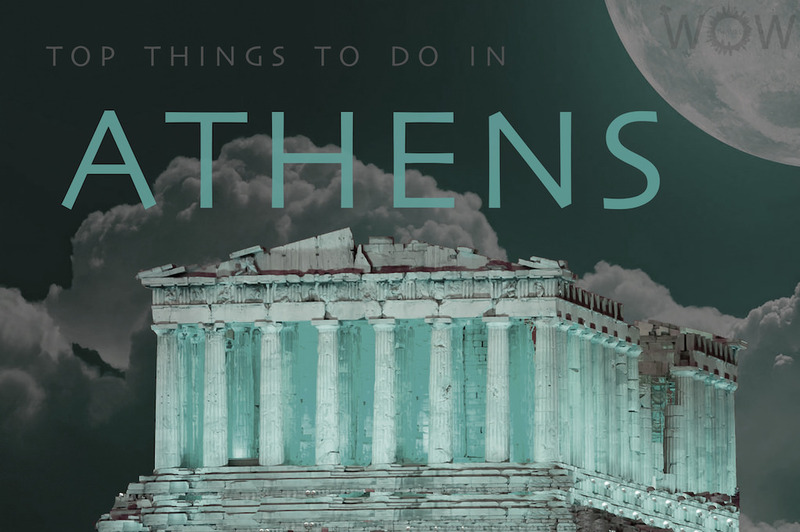 Athens is named after Athena, the goddess of wisdom, who defeated Poseidon to become the patroness of the city. 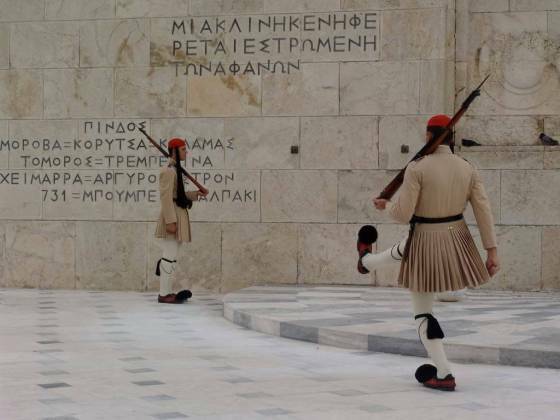 Democracy was invented in ancient Athens, although only men could vote. Voters also had the power to banish politicians from the city for 10 years. 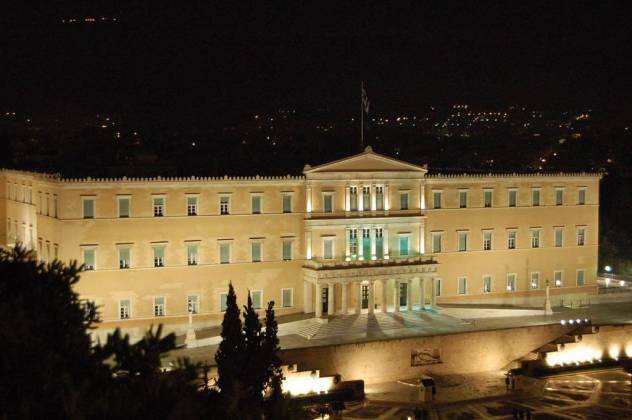 The oldest hotel in Athens, The Grand Bretagne, was first the royal guesthouse. During German occupation (1941-1944) it was used as Nazi HQ. Hitler and Rommel were there on the eve of the Soviet Invasion. Lake VouliagmeniJust to the south of the city of Athens, Lake Vouliagmeni is one of the most exclusive areas of Athens with great views. 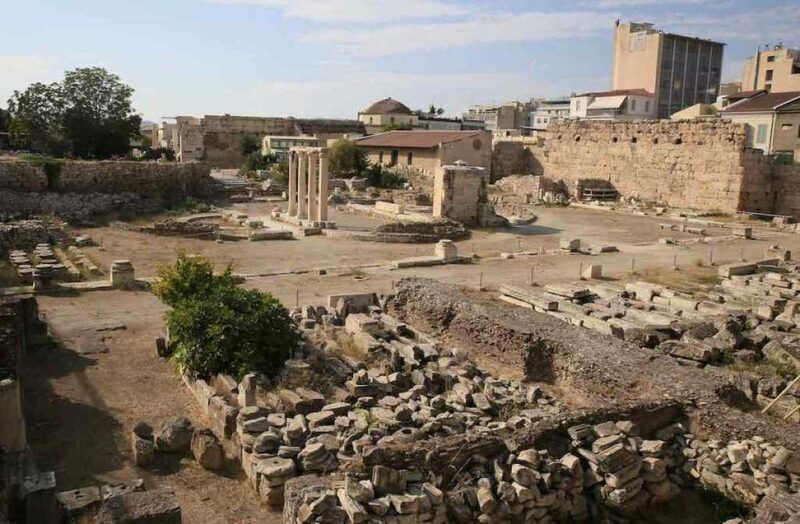 Take a day trip to Corinth, A major city to both the Ancient Greeks and the Romans, its fascinating ruins are a popular tourist destination, includes the famous Temple of Apollo as well as the ancient theatre and Roman fountain. New Acropolis Museum – With everything about the archaeological site of the Acropolis of Athens. Byzantine Museum – With rare collections of pictures, scriptures, frescoes, pottery and fabrics from the 3rd century AD to the late medieval era.